Yet, the participation of CBOs in local governance is usually limited, because they primarily exist to serve the interests of their member base, rather than of the community as a whole. 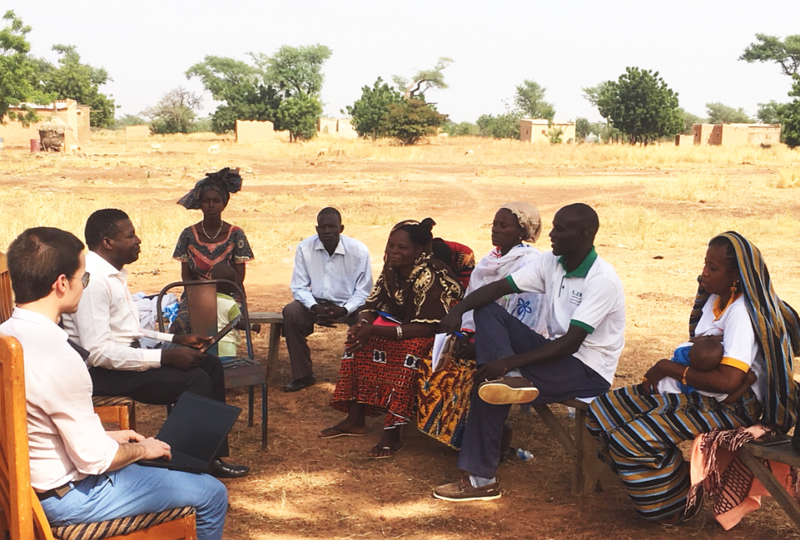 Our preliminary research in Burkina Faso corroborated that CBOs lack direct incentives to get involved if local governments fail to live up to their responsibilities. If high-functioning, local CBOs had a more comprehensive interest in municipal government performance, they could, by virtue of their social capital and local knowledge, be a powerful source of accountability pressures on municipal governments. fference, they can maximize their cash grants by nudging municipal decision makers to address the greatest performance shortfalls in municipal service delivery. Importantly, the CBO’s financial reward does not depend on any prescribed actions the CBO takes. If the CBO decides to intervene and lobby for better municipal services, or to use its social network to monitor and nudge local decision makers, it will do so out of its own motivation and using its own approaches. This cash grant scheme has been pilot-tested in 2015/16 with encouraging results. We are now pursuing a nationwide randomized controlled trial. First results are expected in 2019/20.